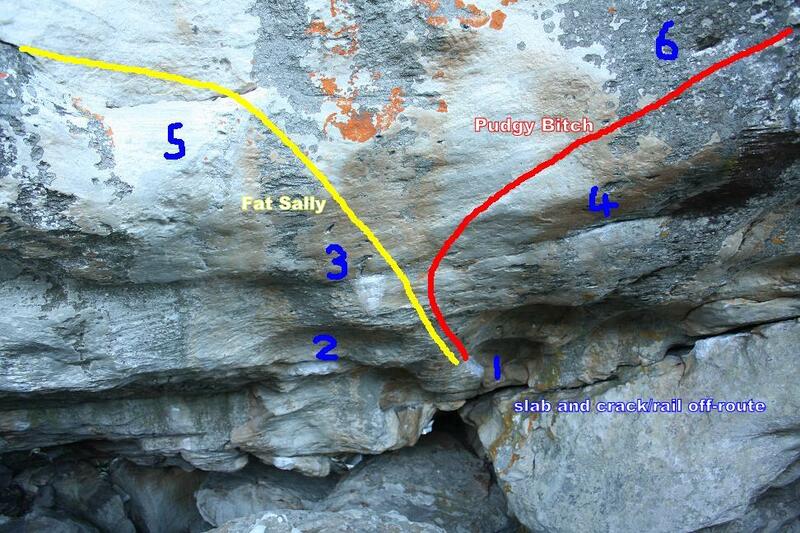 A number of new problems have been added to the boulders of Echo Valley in Topside over the past few years. "Monsters Inc" 7B - SS as for "Ryan Was Here" then climb left as for that problem, at the good hold on the arete, continue left and up across the face to top out as for "Doubt and Expectation". "Duty Calls" 7C+ - SS on an undercling just right of "The Man Who Stepped Off The Page Of a Storybook" and climb the arete using the small crimps. Way back in 2002, Dale Posthumus opened "xomox" 7B at the Halfway House. The problem sit starts with an undercling/sidepull for your left hand and a crimp for your right, then move up to the heuco and straight up to top out.